Kathy Joseph established Fiddlehead Cellars to capture the pure essence of the two grape varietals that she loves best – Sauvignon Blanc and Pinot Noir. Now in her twentieth vintage as “Head Fiddle”, Kathy continues to passionately pursue her goal of creating stylistic Sauvignon Blancs and silky, intense Pinot Noirs. Terroir-driven, Fiddlehead’s Sauvignon Blanc wines hail from the stellar eastern-end of the Santa Ynez Valley, while her estate Pinot Noirs showcase the cooler Santa Rita Hills in the western-most part of that transverse valley. And loving the nuances of place, Kathy continues to craft intriguing Pinot Noir from Oregon’s Willamette Valley. 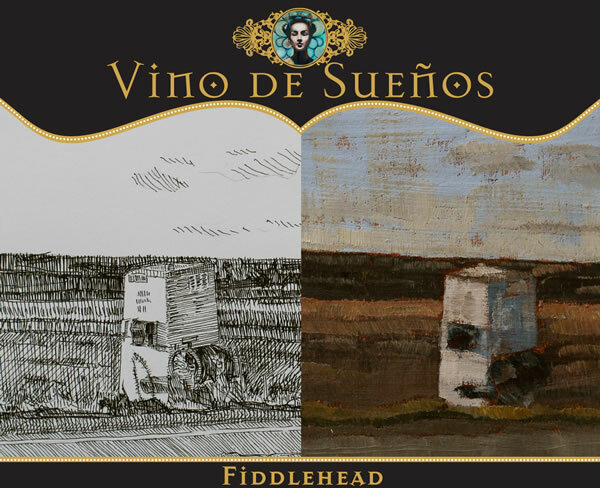 Fiddlehead produces approximately 5,000 cases of wine each year, with all of the hands-on care and attention, and personal interest in each barrel of wine that fine wine requires. The wines are made at “FiddleHeadquarters”, our winery in the Lompoc Wine Ghetto. The Fiddlehead business office is in Davis, California – Kathy’s home away from Fiddlestix! We hope that our website gives you an idea of the passion that the entire Fiddlehead team has for our quest to make superb Sauvignon Blanc and perfect Pinot Noir. Experience Fiddlehead!